Jack Harper: I know I’m dreaming but it feels like more than that. It feels like a memory. 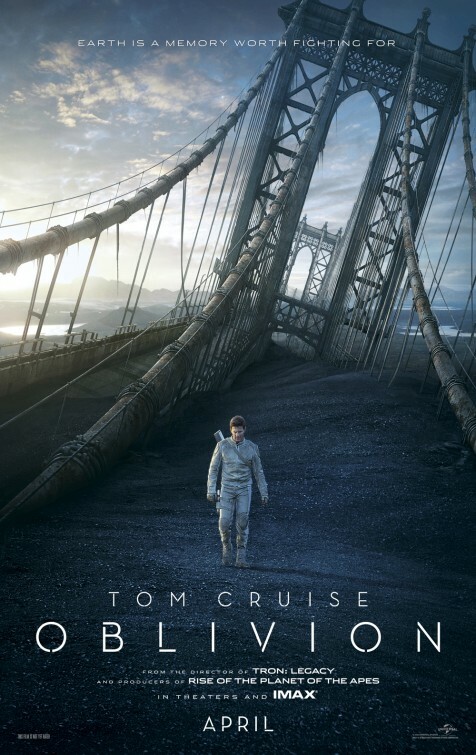 Like a great deal of science fiction, OBLIVION requires a lengthy prologue in order to contextualize the viewer to the hyper imaginative world they are being introduced to. In this case, that world is actually our own, just not at all like we know it. It is 2077 and 60 years prior, Earth was attacked by an alien race, known to us simply as the Scavengers, or Scavs, for short. First, the Scavs destroyed the moon, which essentially threw Earth into chaos, and then we retaliated by setting off every nuclear device possible. As is repeated a few times in the film, we won the war but lost the planet, as it was essentially uninhabitable afterward. What’s left of humanity is floating around in space in a giant ship, waiting to find a new home. The world OBLIVION paints is certainly a striking one, but the emptiness that now dominates the planet inevitably also permeates through to the picture itself. Like Joseph Kosinski’s first film, TRON: LEGACY, OBLIVION is visually engaging from start to finish. Kosinski illuminates the usually dark world of science fiction by shining an unflinching light upon it, much like Todd Phillips did to Las Vegas in THE HANGOVER. Everything is clean and smooth, which creates a serenity that just floats upon the surface, and subsequently begs to be destroyed. But alas, also like his previous effort, Kosinski’s obsession with visual perfection often comes across as cold and also comes at a cost to the story that is meant to drive the film forward. Tom Cruise, a technician stationed on Earth to keep its remaining operations up and running, is having a hard time letting go of the world he once loved. Given that this is the very same world that we all know and hopefully love today, you would think that there would be a more palpable sense of loss to feel here. As great a fit as Cruise is for this though, connecting emotionally with the audience has never been his strong suit. It’s his job to save this world but I never felt like he was saving it for anyone other than himself. OBLIVION is entertaining and it is gorgeous, shot by recent Oscar winner, Claudio Miranda (LIFE OF PI). It’s only when you start to think harder about the complexities of its premise that it becomes apparent how unoriginal it truly is. 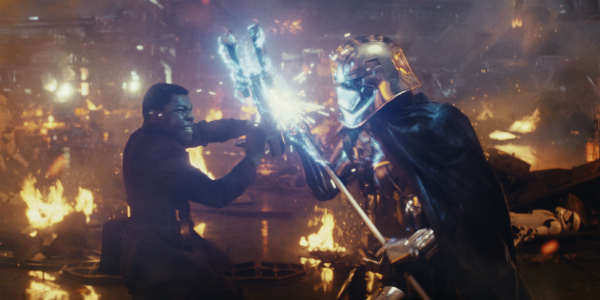 Kosinski borrows so much from so many science fiction classics, from STAR WARS to 2001 to THE MATRIX to even WALL-E, that it plays out more like a pastiche of what made these films great instead of its own distinct experience. I can’t discuss in detail just how it connects to these other examples as that would spoil so much of what the film is so clearly trying to keep secret. I can say though that once you clue in to where everything is headed, which isn’t too hard if you don’t get too distracted by all the glossy gadgetry, the journey there goes straight from oblivious to just plain obvious.